Project-based learning lessons build on the idea that student-directed learning is the most effective strategy for keeping students engaged. Engaged students learn more and better, because they don’t see school as disconnected from their lives. For teachers, a switch to this mode of learning can feel freeing. No longer do teachers have to fight students. Instead, they offer gentle direction as students lead the way. 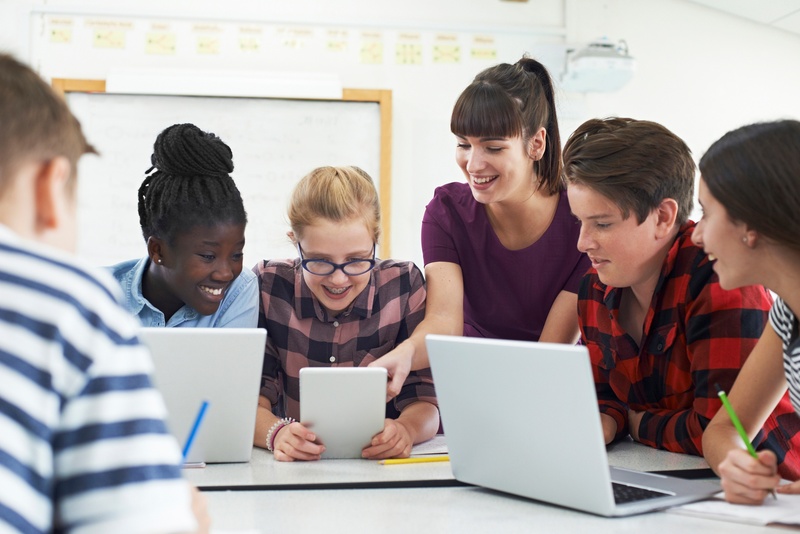 The switch to a student-centered classroom can take time, particularly when teachers feel pressure to follow district-mandated lesson plans. No matter what your district requires or what you need to teach, however, it is possible to engage students in lessons that demand attention, critical thinking, and deep inquiry. Here’s how to incorporate student-directed learning into any curriculum. Once you’re sold on the benefits of a more student-centered approach to education, you might be eager to switch—but there’s no rule that you have to make the change overnight. If your principal is skeptical, funds are short, or there is a big test coming up, consider making a slow transition. Your students will benefit from even small changes in your teaching style. Don’t feel pressured to take an all-or-nothing approach. You don’t have to go it alone, either. With thousands of lesson plans readily available online, you can draw inspiration from what has worked for other educators. Spend some time reading relevant blogs, exploring Pinterest, and talking to other educators. You might be surprised by the excellent ideas you find. Student-centered learning requires more than just a shift in the way you teach. It marks a cultural shift in the classroom, one that makes children active investigators—not just passive recipients of knowledge. Encouraging students to openly share their opinions. Listening to students’ ideas about what they want to learn next. Allowing students to respectfully disagree with you. Encouraging students to think beyond simple answers. Ask them why, when, and how. Tell them to research their thoughts and get back to you. Working with parents to encourage a culture of inquiry at home. Consider asking parents to work with students to solve common household problems, such as getting to bed on time or cleaning the kitchen after dinner. In a traditional classroom, the focus is on the teacher. When classrooms encourage student inquiry, teachers become less central. Consider moving student desks into a circle or into small groups that encourage collaboration. Ask yourself what messages your classroom’s design and decorations convey. Consider working with students to revamp classroom signage and decor. For example, you might work together to come up with a list of 10 guidelines for effective inquiry, then post them in a prominent location, or you could ask students to research their favorite investigative historical figures and then post photos of them on the wall. What do you like doing most? What skills could help you become better at that? What do you want to be when you grow up? What problems do you think you’ll need to solve in that role? What do you most want to change about school? What do you think would help you enjoy school more? Work with students to design lesson plans. Consider presenting lesson plans to them and asking for feedback. You might find, for example, that students would prefer to read outside or that more introverted students might be more comfortable working independently. One of the best things about a student-centered style is that students do not have to perform identical tasks. You can help them customize investigations to their own interests and comfort levels. Don’t just listen to what students say. Watch what they do. If they’re engaged and having fun, you’re on the right track. If they’re disruptive and bored, you need to tweak your approach. Trust your own judgment and don’t be afraid to experiment. One of teaching’s biggest frustrations is testing. Standardized tests do not always accurately capture student capabilities. They cause anxiety, constrain teachers’ teaching options, and subject some educators to unfair judgments. Regular student progress reports that identify how students are mastering learning objectives in a real-world context. Using projects to measure skills. For example, instead of a written spelling test, you might have student assemble a picture book. If they make spelling errors, ask them to edit the book to perfection. Tailoring your lesson plans to meet district standards. Intelligent questions are great. Intelligent questions that encourage students to investigate the very topics the school says they must learn are better. Helping students apply the skills they learn to standardized tests. Many students are anxious about these tests. Before the next testing date, spend some time talking to students about the skills they’ve learned and how they are relevant to the test. Confident students test better. Student-directed learning protocols take the pressure off teachers, while still providing a rigorous curriculum. Have a little faith in your students. Kids really do want to learn about the world around them. Provide them with the opportunity to do so in a way that feels meaningful, and watch even your most difficult students become passionate about their own education. 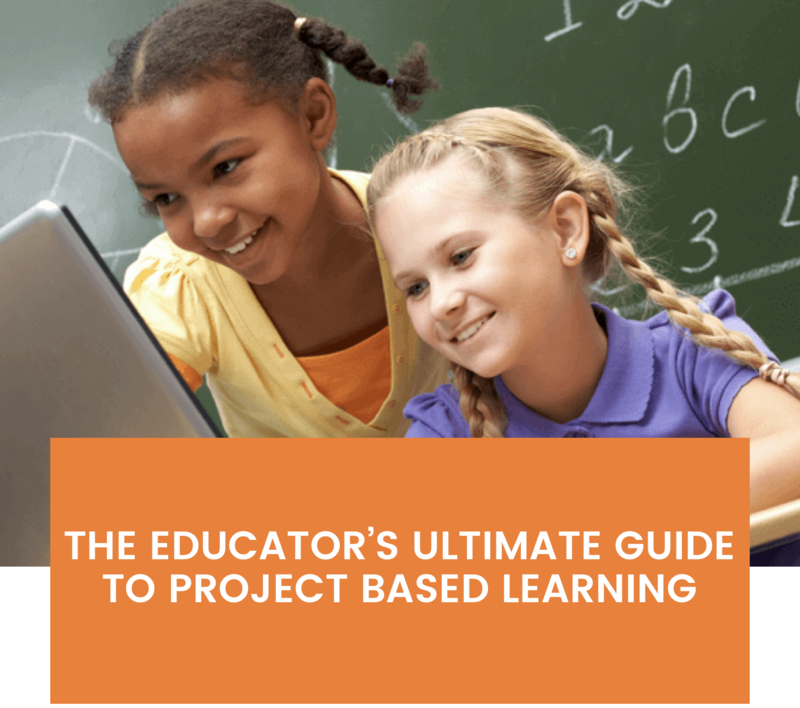 The Educator's Ultimate Guide to Project Based Learning is a comprehensive resource for beginner and experienced educator's interested in PBL. From definitions, to implementation challenges and practical best practices, this ebook is a go-to companion for effective PBL.